Requirements: Windows, Mac OS X, Linux. 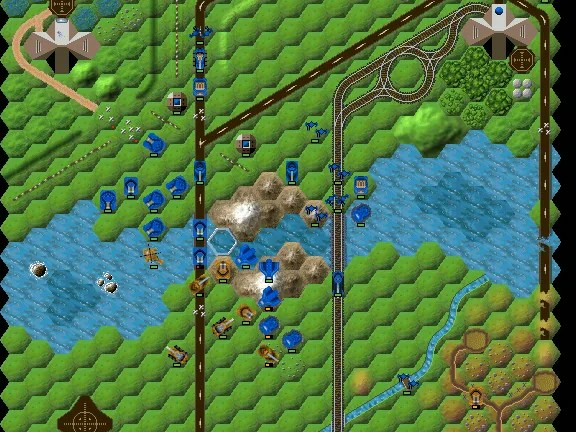 Description: A hex-based sci-fi wargame. Includes a number of individual scenarios as well as two campaigns. Also includes some utilities for adding your own levels to the game. Inspired by ‘Battle Isle’ (Bluebyte, abandoned). Also runs on most Android tablets. Source code is available, can be modified and recompiled on the PC (Google for Crimson fields 0.6.0) = using MinGW. Ver 0.5.3 dates from 2008. Previous story C-Evo Turn-Based Open Source Strategy Game.